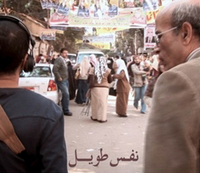 Middle East: What Cinema Can Do is proud to present 40 films over a 10-day period. As always the majority of them are documentaries, each painting a different facet of the bigger picture. There are many personal works from diaspora directors in search of family or identity, most notably the opening film by UK-based Mahdi Fleifel, A World Not Ours. There will be a couple of avant-premiers shown before being released in theatres and a certain number of the films are unveiling in France for the first time. From the more than 150 films previewed, the films chosen illustrate the daily theme in which they will be shown, from Lebanon refugee camps to the cultural censorship in Iran, repression or revolution in countries like Syria, Egypt or Libyia, as well as the themes at the center of this event: the Israeli-Palestinian conflict: notably occupation and spoliation. 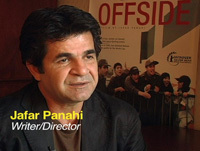 This film explores Iranian censorship codes featuring interviews with 12 Iranian filmmakers, including Jafar Panahi, Bahman Ghobadi and Oscar-winning Asghar Farhadi. A chronicle of the daily life of an Egyptian family throughout the post revolution months during which our characters attempt to measure the significance of the events that keep jostling in order to grasp their repercussions both on the personal and collective levels. Portrait of three generations exiled in the Palestinian refugee camp of Ain El-Helweh in Lebanon, hastily built in 1948. It now houses 70,000 refugees in one square kilometer. Before the Six Day War of 1967, the village of Majdal Shams was one of 139 in the region. All but five were destroyed. 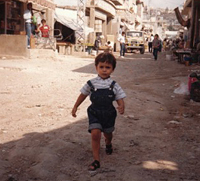 Over 130,000 Syrian Arabs were forced from their homes never to return.